Those of the establishment are using the incredibly powerful weapon of mass psychology as a method of controlling the minds of the masses and altering the behavior of individuals. Edward Bernays, a pioneer in the field of public relations in the 20th century, applied Sigmund Freud’s theory of psychoanalysis to manipulate the masses by engineering consent. According to Bernays, “If we understand the mechanism and motives of the group mind, it is now possible to control and regiment the masses according to our will without them knowing it.” Advertisers and psychologists of the billion dollar culture creation industry manufacture trends through the proliferation of insecurities; and manipulating desires and emotions. These concepts are also employed to control how individuals think about politics, as well as the possibilities and limitations within society. Those welding power within our streams of mass communication market their plans into each generation as individuals adopt specific ways of thinking and never suspect that all the major events and trends within their lifetime are actually planned by an elite few before they are even born. In our society today, culture is created from the top down. Virtually all forms of culture are created by the ruling class to build a false sense of reality, ensure social compliance, and control the future course of cultural evolution. Crisis’ are created on a daily basis and broadcast across the airwaves to keep individuals in a state of panic and fear. Whether it be the threat of a pandemic or terrorism, the constant state of crisis has created a form of mental illness as we are slowly acclimated into an age of crisis. By using Hegelian dialectic, the television promotes the problem, guides our reaction, and presents the solution. The problem of terrorism was exclaimed, a strong emotional response was evoked, and it was stated that our rights need be sacrificed in order to protect us from the threat. We’ve lost personal sovereignty under the guise of terrorism; we’re stopped and searched; we’re watched by cameras as we go about our lives; and we’re encouraged to spy on our neighbors. We have been trained to accept the life of a prisoner. For over half a century, our society has lived under this signal of mental programming and conditioning. The message is clear: don’t be a leader, don’t engage in critical thinking, and don’t care about the people in your life. Until individuals become aware of the current information war, our standard of living and our liberties will continue to be degraded and we will continue to lose communities and meaningful relationships between people. Currently, pockets of resistance are beginning to spring up everywhere as some unplug the signal and regain control of their own thoughts. Informed individuals are canceling their cable and satellite subscriptions and instead spending time with their families and children while participating in meaningful experiences. They are seeking alternative news sources. They are reading about those who weld incredible influence over culture like Edward Bernays, Zbigniew Brzezinski, Charles Galton Darwin, Plato, Bertrand Russell, and Aldous Huxley. 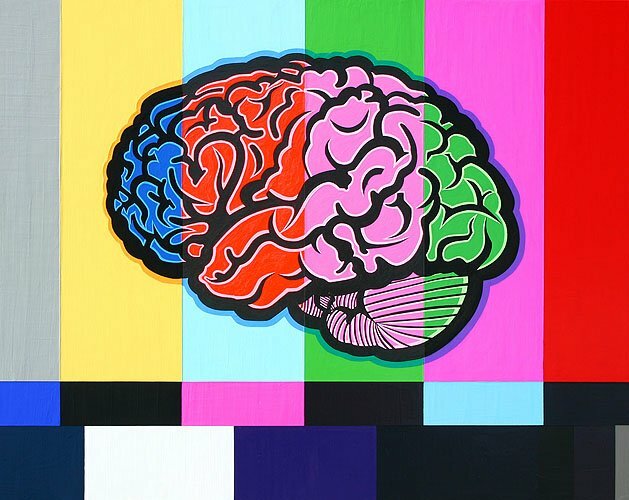 However, it is a continuous battle to educate the masses for the television remains our greatest threat to individual sovereignty and the largest obstacle to becoming a truly informed individual. Fortunately, unplugging from the signal is easy. The television can simply be turned off. Through doing so, you may realize nearly our entire world is now a hoax; things once known as truth are fake. We have been trained like dogs to be obedient to our television; our master has had our minds on a tight leash. Let us never forget the truth will not be televised. Original article and to download your “Unplug the Signal” activist tools, please visit Nathan’s site here.